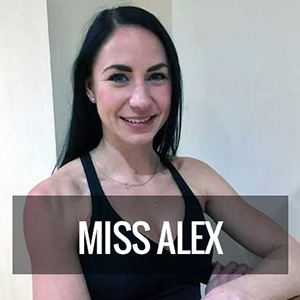 Miss Alex started dancing at the age of 3 then at the age of 8 started studying BBO, she soon became a Scholar and a Junior Associate of the Royal Ballet. At 16 Alex moved to London to study full time at the London Studio Centre gaining a Diploma in Dance. Since leaving college she has spent 15 years Dancing Professionally all over the world on numerous Cruise Ships and various tours with Qdos Productions, Faithless Productions Ltd and Spirit Productions, where she became Irish Lead and Dance Captain. Miss Alex loves teaching all ages and shares her passion for Dance with those in LoveBallet.